As a family-run business with skyrocketing trade spend and very little Marketing support, Marcal Paper was acquired by Highland Capital in May 2008. The new management group needed to adopt a trade promotion management (TPM) solution as a way to increase profits and operate more efficiently. The company is an integrated products manufacturer that recycles a variety of paper grades such as magazines, advertising mail, office and school papers, sanitizes the paper and then reprocesses it into quality retail and sanitizes the paper and then reprocesses it into quality retail and commercial tissue products as well as a line of granular absorbent products under the Kaofin® brand name. Creating the right price, with appropriate “slopes” between pack sizes and using trade to drive incremental revenue, not just subsidize base volume. After selecting TradeInsight® (now AFS TradePro™) trade promotion management system, Marcal has yielded significant results. Reduced YOY trade spend by tremendously reducing invalid deductions. Analyzed promotional strategy while re-launching their entire product line. Increased promotional effectiveness in a category that has 65%+ of its volume sold with merchandising. Directly fed sales forecasts into their S&OP process thereby increasing accuracy by 20% to date (and getting better every month). Redeployed unused trade funds formerly locked up long after deductions were cleared, allowing Sales to drive ~ $10MM of incremental volume. Marcal is an “Earth-Friendly Paper Goods Company” that provides consumers like you with products that you can feel good about purchasing. For over 50 years, Marcal has been making its paper from recycled paper, not from trees. 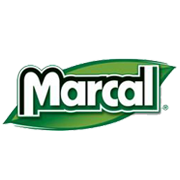 By purchasing Small Steps™ by Marcal® brand, you are taking a small, easy step to a greener earth.